Snow Plow News celebrates over 15 years of digital strength with great advances unique to the industry. Video-centric design. SPN has over 200 original videos in the library and growing every week. Finally, one place to compare all plows. Plow researchers can compare features and benefits of all the major plow brands. The only Multi-Brand dealer directory in the industry. The SPN Dealer Directory allows dealers form North America to be listed accurately and be found easily. SPN offers the most comprehensive listing in the industry. Suppliers include Manufacturers, Dealers and Affiliated Service Providers. SPN Meteorologist Rob Guardino provides timely forecasts so Plow Professionals can be prepared. Manufacturers and Dealers need a place to sell excess inventory so SPN offers a convenient Classifieds for all to get the goods they need at a good price. A resource base found nowhere else. SnowPlowNews offers a robust platform managed by a team of coders, writers, videographers and industry-savvy content managers. SPN only offers fact-based information that allows members and casual viewers to see what really works in the business. We do not allow open forums and do not encourage folks to blast manufacturers and hard –working dealers. Mike Stevens is Editor-In-Chief. Mike has been in the industry for over 20 years. He pays attention to the industry on a daily basis. 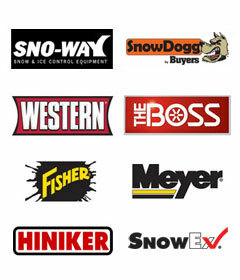 Locate a snow and ice equipment supplier in this directory to find contact information, company facts, videos and more.